In the run-up to hunting’s big traditional Boxing Day show piece, anti hunt protesters from Manchester and Liverpool witnessed first hand the reality of post ban hunting at a meet of the Holcombe Harriers this Saturday 21st December. The hunt, who traditionally mostly hunt hares, met at Brindle at noon, just off the junction of the M61 and M65. 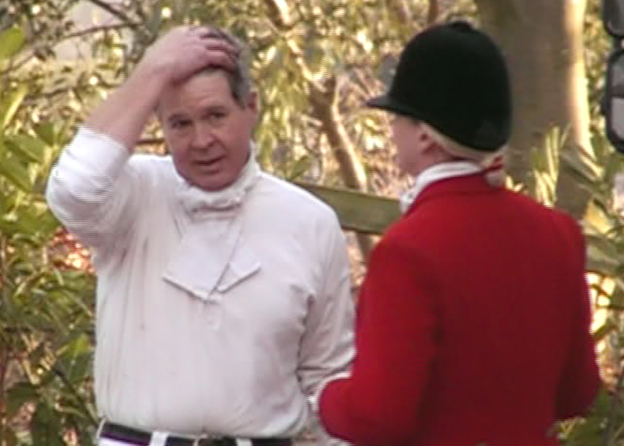 The hunt saboteurs followed closely for two hours both on foot and from the road. 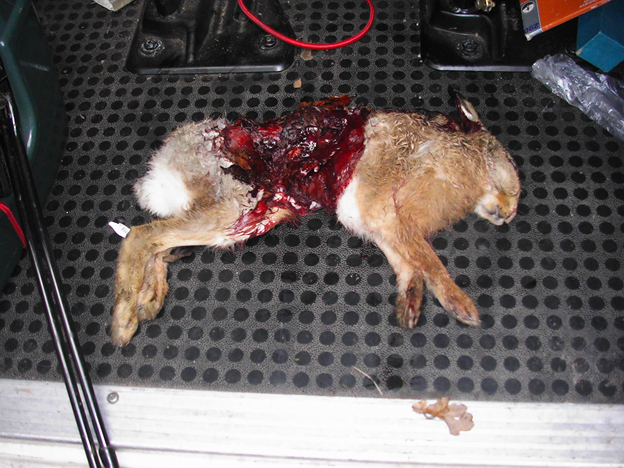 The protesters, whilst close to the kill, were too far away to have time to intervene as the hare was seized by two hounds and torn open. Video footage and images from the day were taken and the crime reported to Lancashire Police. The hunt last year was involved in controversy when at their Boxing Day meet at Rivington, a horse knocked down a 64 year old woman and trod on her head just before they were due to set off.